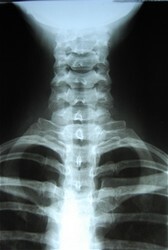 X-rays of the neck or low back may be taken if needed. Our office is set up to complete the x-ray process if the Doctor deems it necessary. Depending on the findings, the chiropractor may call for another imaging study of the neck or back such as a MRI.